A webcam is an indispensable part of a streamer’s arsenal. Generally, streams that include a “face cam” tend to be more popular. Well, essentially, it allows the streamer to connect with their audience better. Putting a face to the voice can help the streamer stand out and be more recognizable, and on top of that, it can also help catch people’s attention. That said, we will be looking at some of the most noteworthy webcams that you can get at the moment, and we will also see which of them are the best webcams for streaming and why. Logitech was founded back in 1981, and they have grown into the renowned and prestigious company that we know and love for their top-quality products, peripherals in particular. The first product of theirs we’ll be looking at wholly lives up to that reputation. 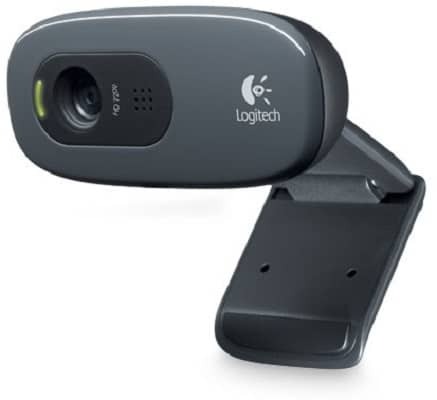 The Logitech HD Pro C920 is an excellent webcam capable of capturing clear and crisp photos and videos. It is a compact, flexible, and good-looking camera whose sheer quality and a number of convenient features make it one of the best webcams on this list. We’ve already stated that the C920 is capable of recording in 1080p, but there are more factors affecting video quality than merely the digital resolution and megapixels. This webcam comes with premium quality Carl Zeiss-made glass lens that is further equipped with smart and adaptable autofocus. All of this ensures that the footage captured by the camera will be sharp, clear and in focus. On top of that, the C920 comes with automatic light correction. Often, poor lighting leads to inferior video quality rather than the supposed low quality of the camera itself. We all know that grainy, analogue-looking kind of video that is the result of this. Fortunately, the webcam’s light correction feature goes a long way to helping fix that issue. The webcam is not worse off when it comes to audio either, as it comes with a stereo rather than a mono microphone that most of the more affordable webcams are equipped with. Plus, it has background noise reduction, making it excellent for video calls but streamers will probably want to use a dedicated microphone. Overall, the C920 offers a great balance between quality and affordability, as it combines a good stereo microphone with a great 1080p camera that will more than meet the requirements of many streamers. Though, while it isn’t quite as expensive as some other models, the C920 does tend to be on the pricey side, but luckily, it’s fairly easy to find it at basically half its MSRP today, which makes it a great deal in our book. 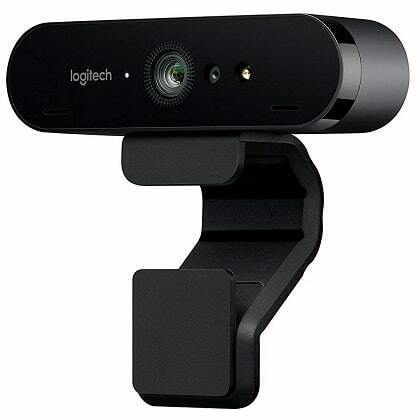 Next up, we have another webcam from Logitech, and this one is a new and updated version of the C920 and it brings some limited improvements, although a number of people will definitely find these improvements to be worthwhile. 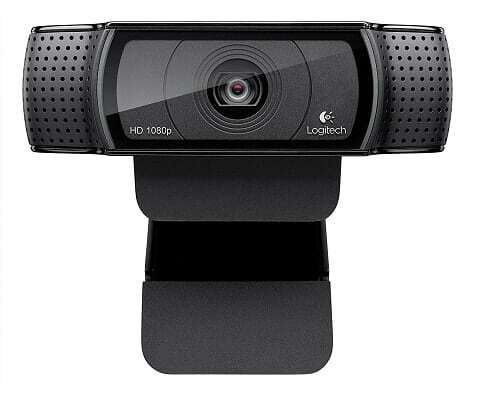 The webcam in question is the Logitech C922x, a pricier solution for those with higher standards. Design-wise, it is quite similar to the C920, although it undeniably gives off an impression of a more premium product, all thanks to the fully black glass front. Like the C920, this is camera can record in a 1080p resolution, boasts a 15-megapixel sensor, complete with the high-quality lens and video compression. However, the C922x does fare better when it comes to light correction, making lighting appear more natural. And again, like the C920, the C922x features dual microphones although they are noticeably better, capturing much cleaner audio with virtually no background noise. It is definitely one of the best microphones that you’ll find in a webcam, although it still cannot really compare to a good external microphone. Overall, the C922x is quite similar to the C920, and the key improvements are the better microphone and the better lighting correction, though the same issue remains: the C922x is usually a bit pricier than the newer model, though not by much, so if you’re willing to invest a little more, then it just might be the best choice. For the third entry, we have yet another solution from Logitech, albeit a much more modest one than either the C920 or the C922x. The C270 is a simple-looking webcam with a basic plastic exterior and no real standout features other than the fact that it is a very reliable and affordable solution. The C270 can record in 720p, which is the standard for most affordable webcams today. Even though it uses a seemingly meager 3-megapixel camera, Logitech’s great software plays a big role in helping this webcam provide clean and crisp videos. This includes the Logitech Fluid Crystal technology and automatic light correction. The former, aptly named technology improves the video on all fronts: sharpness, color, contrast, and overall clarity. As for automatic light correction, it has the very same function as with the previous webcams: improving video/picture quality in low-light conditions. When it comes to the microphone, it is a much more basic mono microphone. And while word “mono” may seem discouraging at first glance, this is still quite a good microphone – for video calls at least. It also uses noise canceling to ensure clean audio during video calls, but it is far from adequate for streaming. The only real issue we have with the C270 is that it can feel a bit flimsy when mounted. This isn’t that big of a problem for desktop users, but it’s something worth noting if you intend on using it with a laptop. Overall, the C270 offers the kind of quality we have come to expect from Logitech, and presents quite good value considering the price, both in regard to the camera and the microphone. As such, those who are on a tighter budget will definitely find it to be an appealing product. 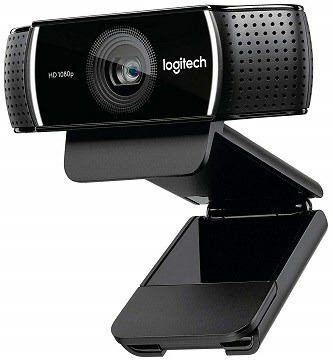 And for the final Logitech webcam on this list, we have a marvelous high-end piece of hardware – the Logitech BRIO. 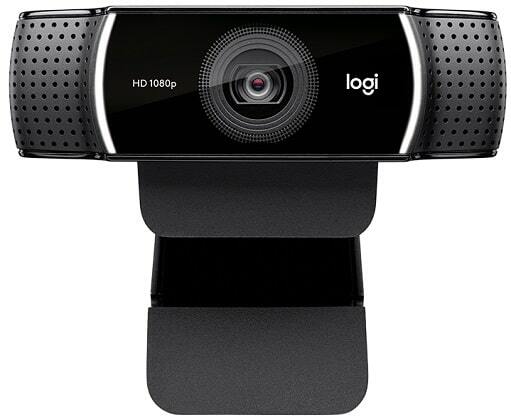 It features a sleek futuristic design, all the while offering the kind of video quality that puts the previous Logitech webcams to shame – of course, it is in a whole other league when it comes to the pricing, too. If you thought that the C920 and the C922x were good with their 1080p recording capabilities and light correction, just wait to see what the BRIO can do: true 4K video capture, complete with HDR support, all the while the Rightlight 3 technology ensures that the camera captures you in the best possible light (no pun intended). The BRIO is capable of recording in higher framerates if the resolution is lowered. While it can only record 4K footage in 30 FPS, it can do 1080p in 60 and 720p in 90 FPS. 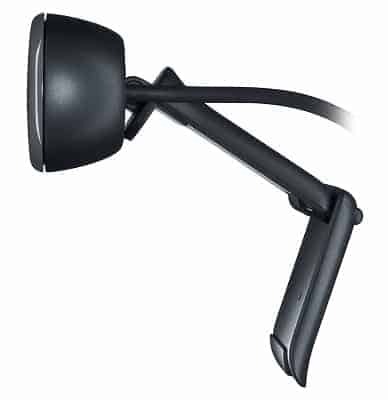 As you might expect, it features a stereo microphone like the first two entries, but as before, while the microphone is quite good for a webcam microphone, a streamer will inevitably want something better. Now, as you might expect, the primary downside to the BRIO is its price. With an MSRP of $200, it is extremely expensive for a webcam, but that’s only understandable considering the sheer quality of the camera. Other than that, the mounting clip isn’t as great as you’d expect, especially considering the aforementioned price tag, and like that of the C270, it can feel a bit too flimsy when mounted on laptops. If you want the very best and are willing to pay for it, we can’t think of a better webcam than the Logitech BRIO. The stunning video quality is the key selling point, the microphone is great, too, though the mounting clip leaves something to be desired. Moving on, we have a product from one of the most widely known companies in the IT world. 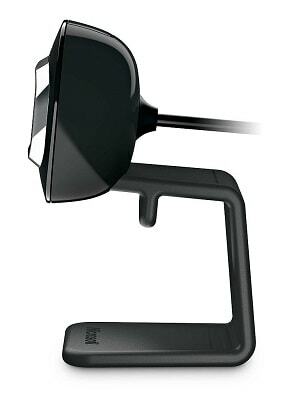 It is none other than Microsoft, and they are here to deliver one high-quality webcam. The Microsoft LifeCam Cinema is a bit different from most mainstream webcams in that it utilizes a cylindrical body more reminiscent of a real cinematic camera, hence the name. 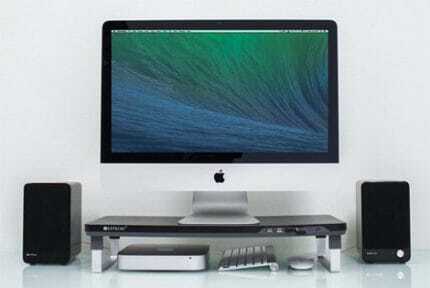 It uses a sleek black-and-silver color scheme, and with a microphone on top and is of an exceptionally sturdy build, all of which makes it a very appealing product. While it may record in “just” 720p, we all know that resolution is not everything. As a matter of fact, this webcam’s primary strength lies in its wide-angle glass lens. The lens should be noted in particular since this is what allows for much better and more immersive depth of field. Of course, like the majority of other webcams, it has auto-focus as well. On the software front, the LifeCam Cinema utilizes TrueColor technology with face tracking. The benefits? Much more accurate focus and exposure adjustment in order to present you clearly and in the best possible light. As for the microphone, there is a noticeable top-mounted mono microphone. As you might have guessed, it is definitely good, as far as webcam microphones go. Now, the only problem with the camera is the reportedly iffy autofocus which can become overactive in low-light conditions. This is hardly a deal-breaking flaw, but it can be an annoyance if you plan on recording in a dimly lit space. 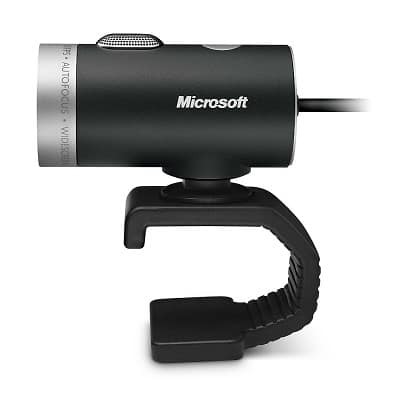 Even though it may not be as impressive as some of Logitech’s models on paper, this Microsoft webcam is a high-quality, well-balanced product that is not so cheap that it has to make any glaring concessions nor so expensive that people might find it discouraging. Granted, it would be more appealing if it were a 1080p camera, 720p is more than adequate for streaming. 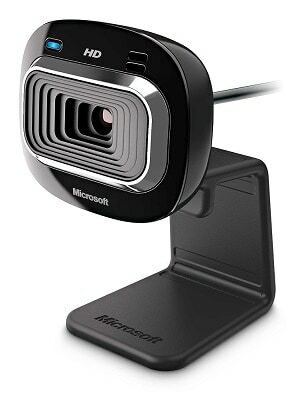 And finally, we have another webcam from Microsoft, albeit nothing as flashy as their LifeCam Cinema. This product is closer to a budget solution, although it is more of an “in the middle” product that lingers on the border between the low-end and the mid-range. 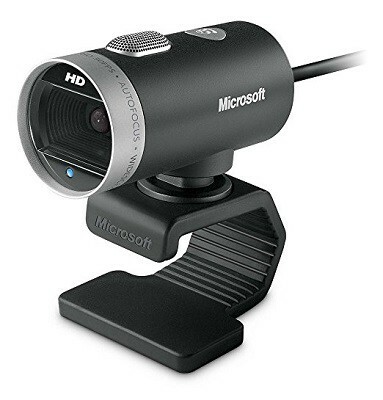 The webcam in question is another one from Microsoft’s LifeCam series, the HD-3000. It follows this product line’s overall approach to exterior design, with a mostly-black body and silver highlights. It is far from the best webcam for streaming, but it can get the job done. It goes for as little as $20 these days, making it a good entry-level solution if you’re short on cash. Unsurprisingly, the HD-3000 is a 720p webcam with a simple plastic lens. And while it still has auto-focus and TrueColor capabilities on Windows 8 and up, it lacks most of the other powerful features present in the more expensive LifeCam products. Furthermore, it uses a simple mono microphone with noise cancellation. While this may not be evident from what is presented on paper, it is quite a few notches below other LifeCam microphones. In the end, it is convenient for casual video calls but hardly fitting for professional streaming. That said, it is a decent enough product for the price, and our biggest qualm with it is the design. The glossy exterior can be a real dust magnet, and the front is a bit too conspicuous for our liking. 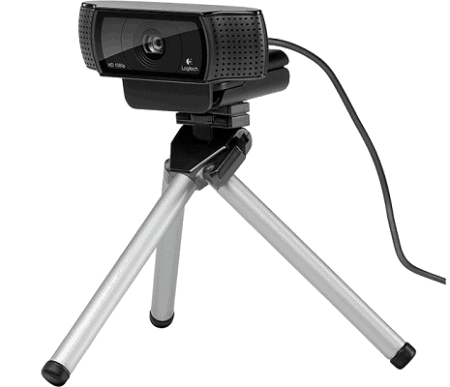 In any case, if you’re looking for a budget webcam for streaming, the HD-3000 might do the trick. The video quality is good enough for a webcam in this price range, and chances are that will be your main concern if you’re shopping for a budget webcam. As always, requirements vary from user to user and so does the budget. Because of that, we will present a short guide discussing just how important certain features are in a webcam, which ones to keep in mind, and ultimately – how to find the ideal webcam for your needs. Without further ado, let’s dive right into it! Resolution – How Much Is Enough? We have all felt, at one point or another, that compulsive need to own a piece of tech because of its amazing on-paper specifications. However, only those among us who are more budget-conscious ask themselves the question if they really need all those fancy high-tech features. Take a moment to consider what you will be using the webcam for. If you just need it to add a “face cam” to your stream, then the choice between 720p and 1080p is hardly a critical factor, and the 4K Logitech BRIO would be a ludicrous overkill. 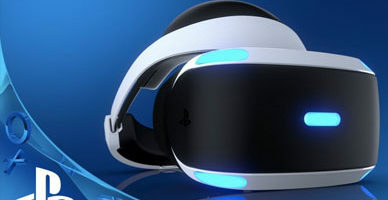 After all, the face cam will only take up a minor fraction of the screen, so in this regard, the difference in quality between a 720p and a 2160p webcam will be negligible at best. Not to mention that streaming in 4K is very resource-intensive, so you’re unlikely to be using the webcam’s full capabilities any time soon. On top of that, we’ve already mentioned that it’s not all about on-paper resolution and megapixels, and a quality 720p webcam can actually look better than a cheaply-made 1080p one. At the end of the day, we’d say that either 720p or 1080p will do fine for streaming or vlogging, while the Logitech BRIO i.e. the only 4K webcam available at the moment, will only catch the eye of those who have extra cash to burn and want to have a more future-proof webcam. The Microphone – Is it Relevant? As we have previously mentioned in the article, webcam microphones are generally nothing to marvel at. They are included solely to make video calls more convenient, and that is a purpose which most of them serve admirably. On the other hand, if you want to stream, you will need a dedicated microphone. Why? Simply because they are better in every conceivable way, offering a plethora of useful features and vastly superior general sound quality compared to what an integrated webcam microphone has to offer. Image Correction – Does it Work? Technologies that improve image quality via lighting correction and color enhancement are more important than you may think. In truth, poor lighting is often the main culprit behind low-quality webcam video, as most people can hardly set up proper cinematic lighting at their desk. Luckily, some webcams can help with this digitally by applying various effects that produce natural-looking, high clarity images even in low light environments. Keep in mind though, just because a webcam possesses this feature doesn’t mean that it can achieve the desired effect as well as any other webcam, especially some of the more expensive ones. 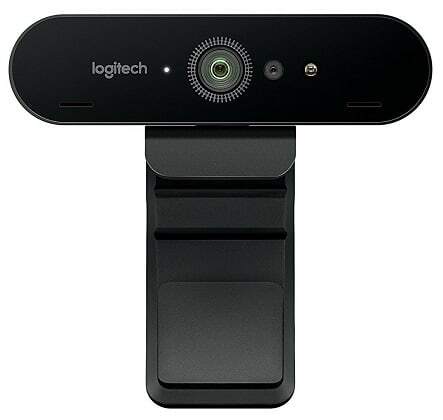 If we had to pick out one of the webcams included in this article as the best one, we would have to go with the one that offers users the best value for their money, and in this case, it’s the Logitech C922x. So, what exactly makes this webcam our primary choice? First and foremost, it truly offers the best value for your money. Despite the relatively high MSRP, it is regularly available for about $70, making this truly high-quality webcam relatively affordable for the average user. As we’ve already described it in its own entry, the C922x has all the key features: 1080p video capture, crisp and clear recording quality, a great integrated microphone, excellent light correction, and an overall sturdy build. All of this makes the webcam fairly future-proof, not to mention that it looks quite nice to boot, complete with that sleek glass front. Now, of course, as we’ve mentioned already, tastes and requirements differ. Rest assured that any of the webcams listed here will serve your needs well, provided that you keep their capabilities in mind.